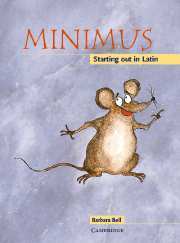 A lively introduction to Latin for children aged 7 and over. 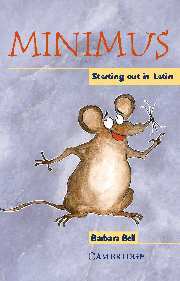 Join in the fun with Minimus - a mix of myths, stories, grammar support and historical background! This pupil's book is a lively, colourful introduction to the Latin language and the culture of Roman Britain. A fun way to teach English grammar, it is ideal for cross-curricular activities. 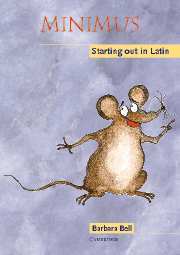 Develops language awareness and helps pupils with the basics of English by identifying common Latin roots. With a mix of myths, stories and historical background, Minimus supports cross-curricular activities including geography, history, RE and art. Roman Britain is bought to life as myths, stories and illustrations give children a meaningful insight into a different culture and time. 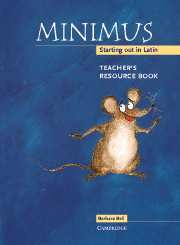 The teacher's resource book contains English translations of the Latin passages, photocopiable worksheets and full teaching notes to support the non-specialist teacher. The cassette and CD feature readings and extracts to help with pronunciation and contain lively readings of the Latin text to help motivate pupils. 12. Gods! Hear our prayers.